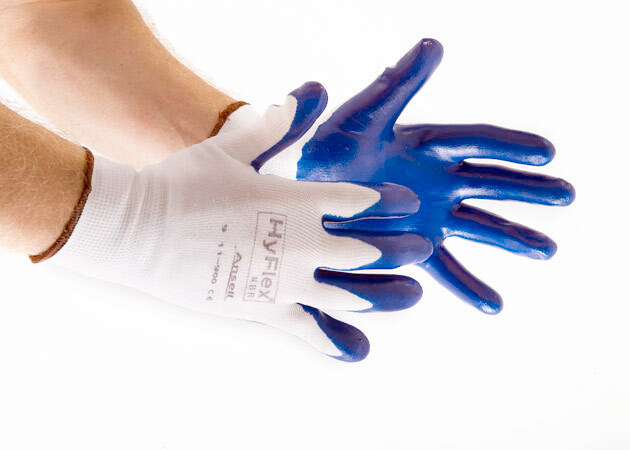 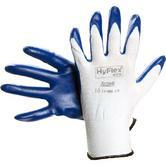 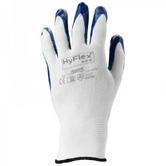 Oil repellency and Abrasion resistance are the key characteristics of this HyFlex® 11-900 Glove. Keep oil out - the nitrile coating prevents oil from penetrating through the glove, protecting your hands from dermatitis. 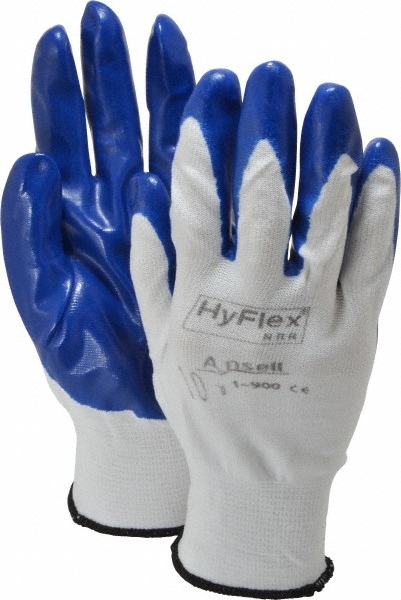 Designed specifically for use in moderately oily manufacturing and maintenance environments where protection combined with a dry only grip and abrasion resistance are essential. 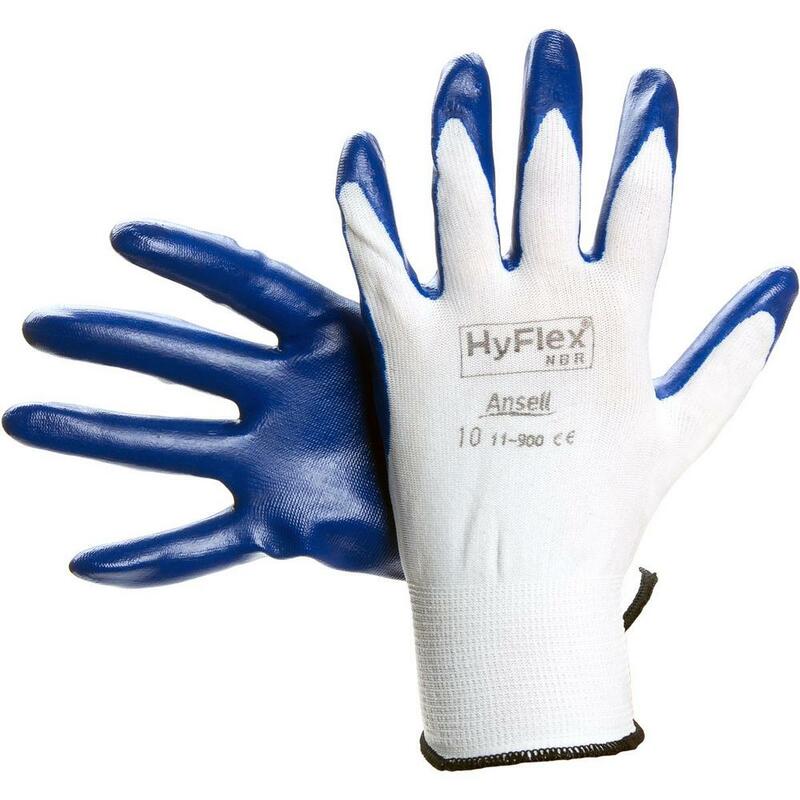 When workers need secure handling with comfort in these environments, the Ansell HyFlex 11-900 work glove delivers excellent results. 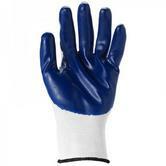 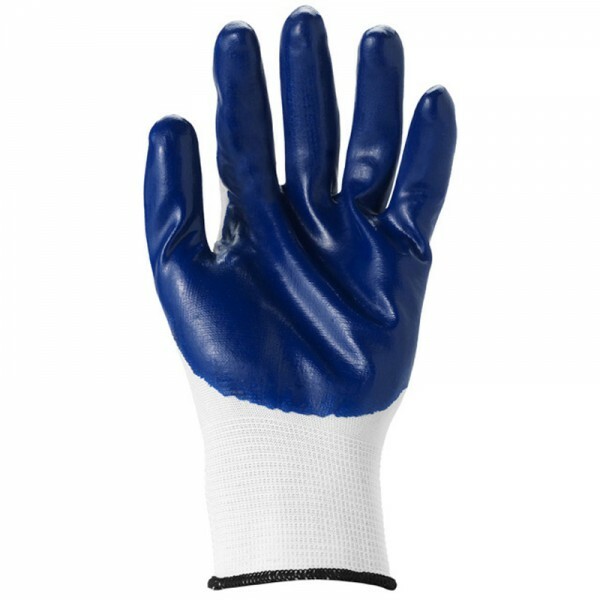 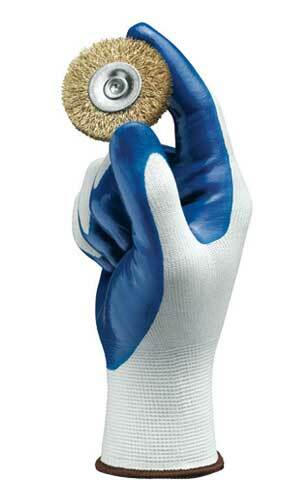 The Glove offer agronomical fit and has excellent dry grip for applications involving small or medium sized parts. 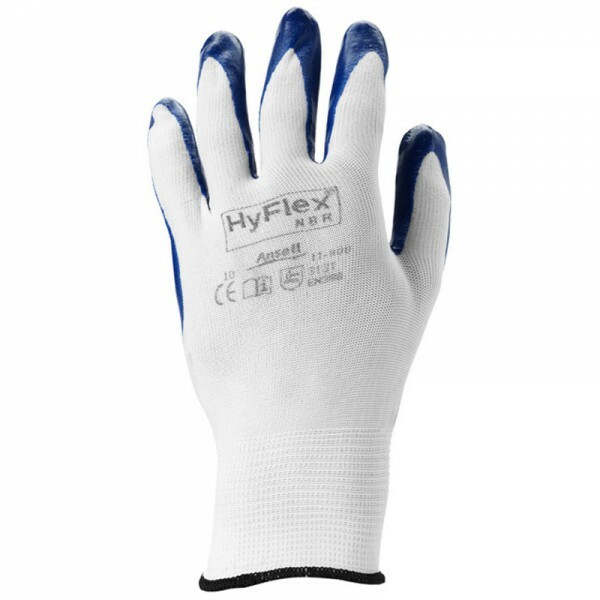 Perfect gloves for Automotive assembly, General Carpentry, Masonry/Tile, Plastics, Warehousing and Metal fabrication. 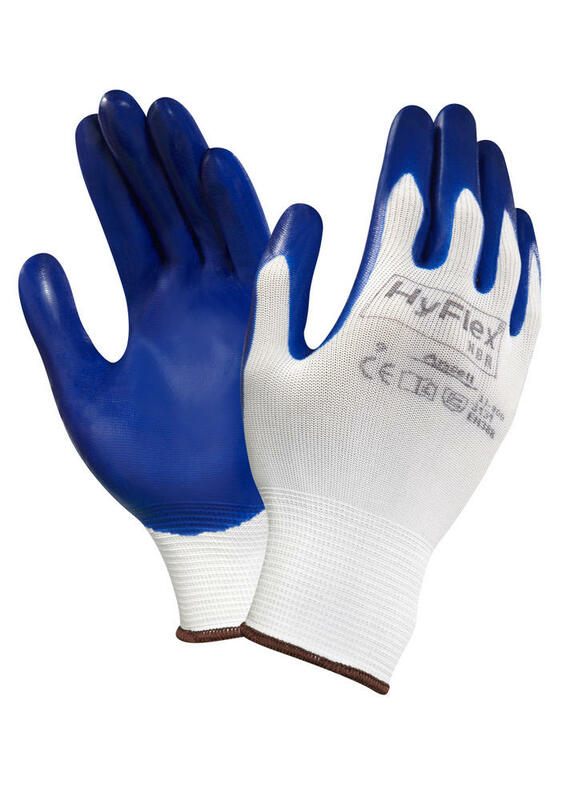 Ansell Marigold 11-900 Hyflex Work Gloves Approved according to: EN 388 3-1-3-1; Abrasion ANSI class 4.